$139.99 & FREE Shipping on orders over $59. 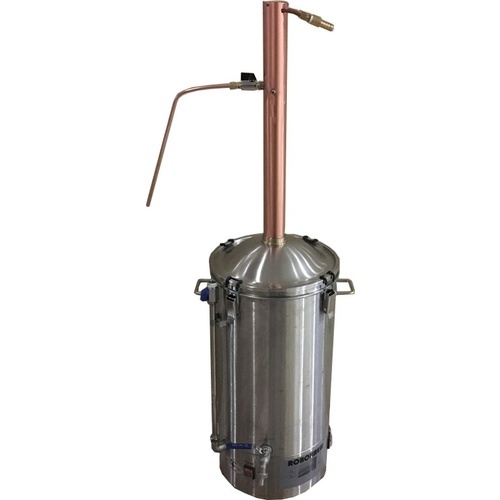 Want to get started distilling high quality spirits? This Reflux still top is a great way to do it! It's designed to create high alcohol neutral spirits. You can then add any kind of flavorings to make it the way you want. 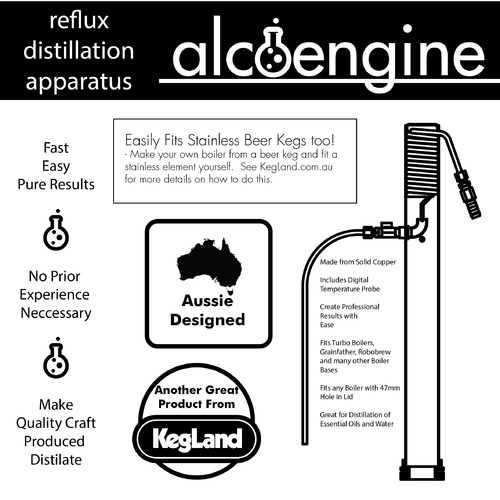 The flow management design gives you direct control of the reflux ratio which allows you to fine tune how pure the alcohol ends up. This is only the still top and does not come with a boiler. Use the custom lid (DS125) to use a Robobrew (AG475A) or DigiBoil (BE501) as the base for this still top.